Replaced an existing battery, like for like. Had been supplied new with our motor home in March 2006! Just started to lose charge in last month so time to replace Excellent price. Rapid and traceable delivery. Clear ordering procedure. Will definitely use again. Great product, aggressive pricing and plenty of care taken in packaging and shipping to ensure it arrives as it should in perfect condition. 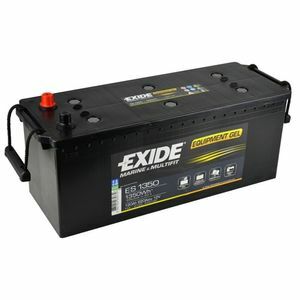 I chose this battery because it fits the narrow space on a J109 racing boat, replacing the existing Exide battery which lasted nearly 10 years.